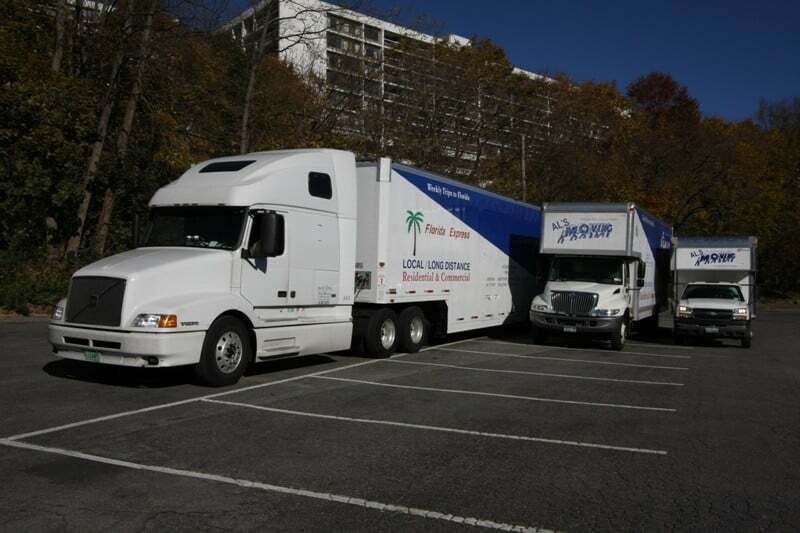 Family owned and operated since 1948, Al and his team (which includes wife Sandra and sons Al Jr. and Joseph) provide full-service local and long distance moving and storage solutions. 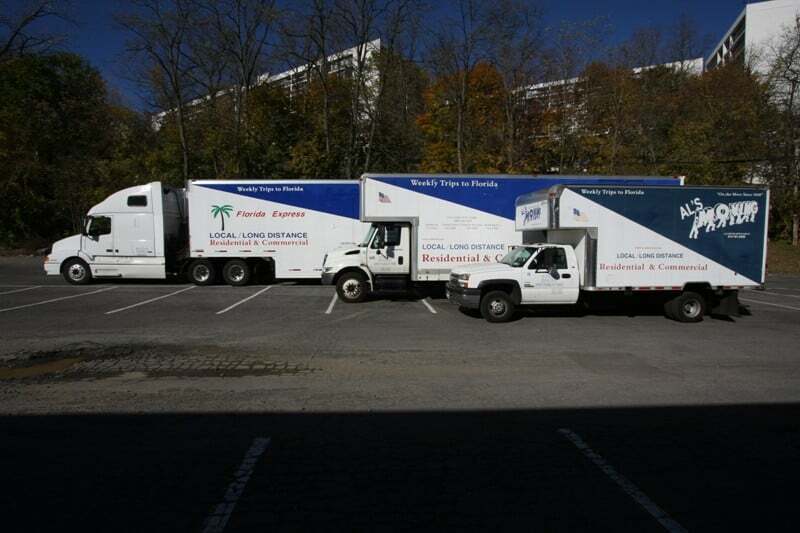 With a large modern fleet of fully-equipped moving vans, climate-controlled storage facilities and courteous staff of moving industry veterans, Al's Moving and Storage has what it takes to handle the rigors of your next local or long distance move. Established in 1948. Fresh out of the Navy following the Second World War, Al Fanelli Sr. purchased a small moving van and, with the help of some friends, began providing local moving services throughout White Plains, NY and Westchester, NY. Focused on providing quality service and affordable rates, the business expanded and he soon began providing moving services and deliveries for high-end retailers such as the famed W. & J. Sloane Interiors in Manhattan. 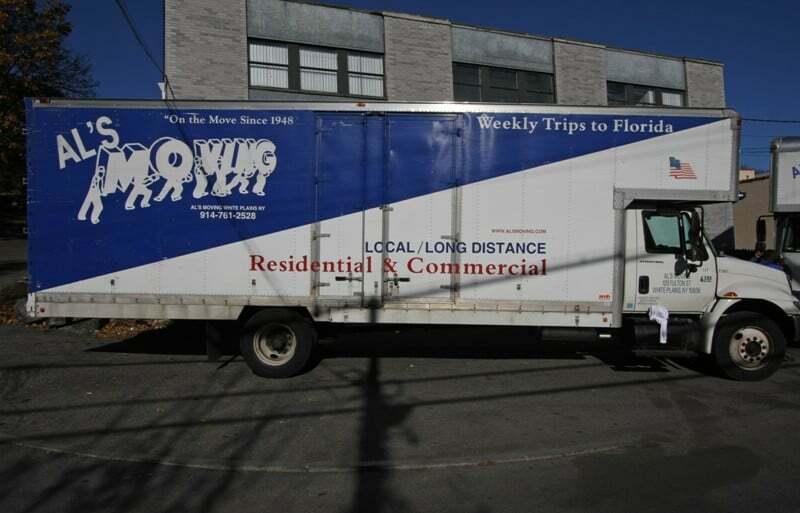 Today, after over 65 years and three generations of family ownership, we are a moving company unlike the rest. 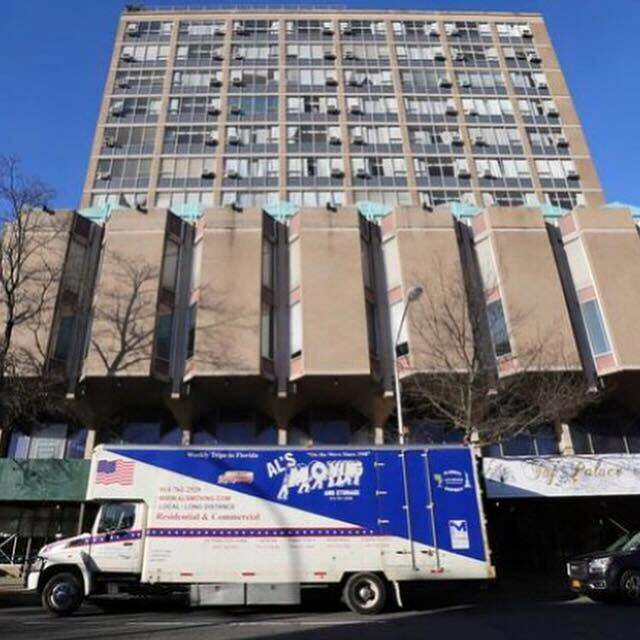 At Al's, we focus on providing our clients with the upmost quality and affordability among movers in Westchester, NY and you are sure to receive the same «old-fashioned» care that has made us your top choice family movers since 1948! Being in the real estate business I come across a lot of movers. I was introduced to AL's company and gave them the opportunity to move me and my friend who bought my house who also used Al. We both had phenomenal experiences.Al's people were quick, clean and extremely polite. On the day the move being that I have a large family we were not able to pack everything up ourselves. A few days before I called AL and asked him if he could help. The morning of the move he sent over a few extra guys along with all the shipping and packing material and finished packing everything up. Not one glass or piece of silverware was broke it or misplaced. My wife was busy with our new born and they respected everything she asked them to do. 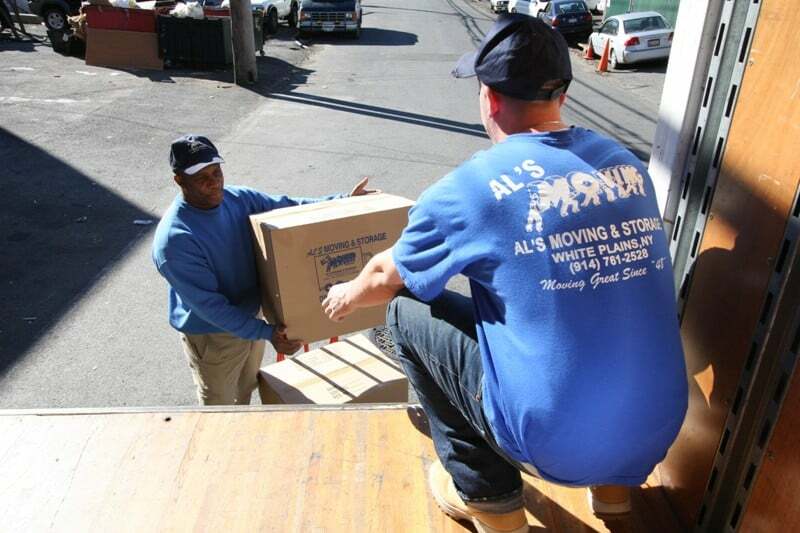 Being that this was a very emotional time in our lives as we left the house I raised my family in they were patient and understanding and let me and my wife feeling that we had made the right decision choosing Al's Moving and Storage.In my line of work I come across many movers and this was just a great experience. I have moved several times in the past and have never had it this easy. Al, Sandra and his entire staff were pleasant to deal with and being that it is a family business and a local company I love to help out the local community. There prices are also the most competitive around for what they do.If you are thinking of moving in or even out of Westchester they are the ones to use. I've recommended them already too many of my clients and I have not received one complaint I have received only thanks from them.Thank You Al's Moving and Storage for making my family's move comfortable and easy! We had a mixed review with Al's, and I felt that it is important for other possible soon-to-be movers to beware!Al's came recommended from a friend of ours. We called the office a few times and were always told they would call back with a quote, but didn't. That should have been our first inkling that they were not the most professional. My husband and I both called and received the same quote for our move: $1,200 for 8 hours for all our furniture.The day of the move our movers were great! They were friendly and professional, and really hustled even though it was extremely hot. At the end of the move we went to pay them and were told that there is no such thing as a flat rate. We were told to call the main office again, and then were told we had to pay $1,575 all in cash! We did not have the additional $375 handy, and were then told we could write a check for the difference.It was extremely frustrating after a very long day to suddenly find out we were short, especially when we had followed up multiple times with the main office prior to the day of the move on the details and final price.Although they were still cheaper than other companies, I would never use them again since I would not be able to trust their pricing. Awful Company! I requested for estimate, they called me continue continue 8 times, then 3 voice messages and Text messages.And called me same day late at night about 10:30pm from "Call ID" fot twice!They are crazy. I don't contact with them anymore. Although pricing is attractive, company is totally unprofessional. For months I was planning to use them for a FL move after constant assurance that it would take 3-5 days for my stuff to arrive. A few days before the move, they changed their story and now said the delivery would take "up to 21 days". When I balked at the misrepresented delivery time, owner advised me I should find another moving company...which I did..